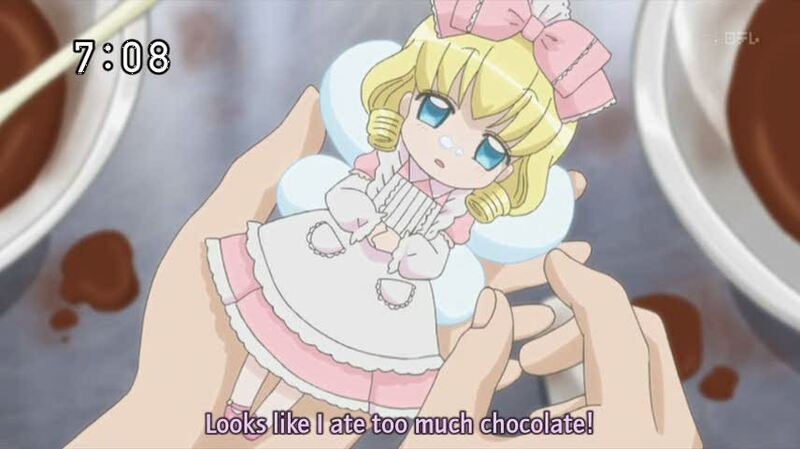 Yumeiro Patissiere | We ♥ Shoujo!! Yumeiro Patissiere 06- Ringo Cakes and Otanjoubi! Ok, here’s my disclaimer: I do not own Yumeiro Patissiere or these images, I got them from the internet and I linked every single one to where I got them from. I’m sorry if I’m breaking some rule because I’m really hazy about copyright laws. 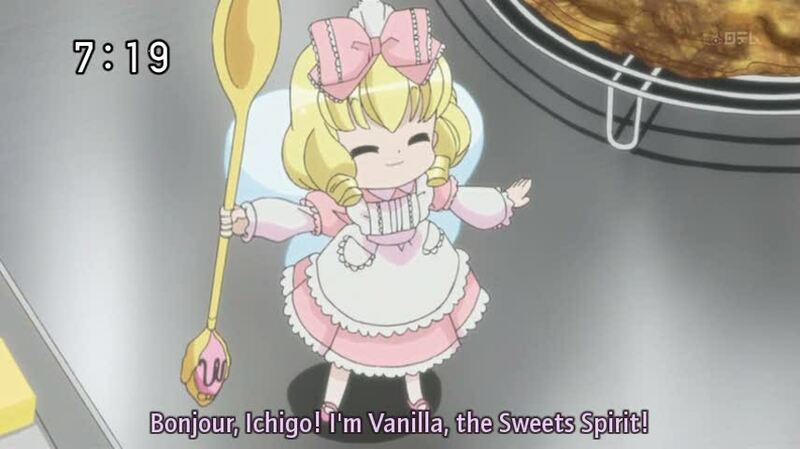 Ichigo finds all three of the Sweets Princes also have accompanying Sweets Spirits. On a trip to a local preschool, Ichigo notices a little girl named Ringo that seems to be having trouble making friends, and promises her that she will make a cake that will help her to make friends with everyone else in the class. YumePati 05- Tenshi? Akuma? Spirit? Make up your mind! Lol XD The much anticipated Kashino episode. After watching the Hanabusa episode and Andou episode, it’s time for Kashino! This episode is all about chocolate, so let’s get ready for some serious stomach growling!! :D Everybody loves chocolate, after all! Kashino is extremely skilled with chocolate; so with a chocolate test coming up, Ichigo decides to make a chocolate cake that will blow him away. Yumeiro Patissiere 04- Cake Nanka Daikirai da! I get it now. 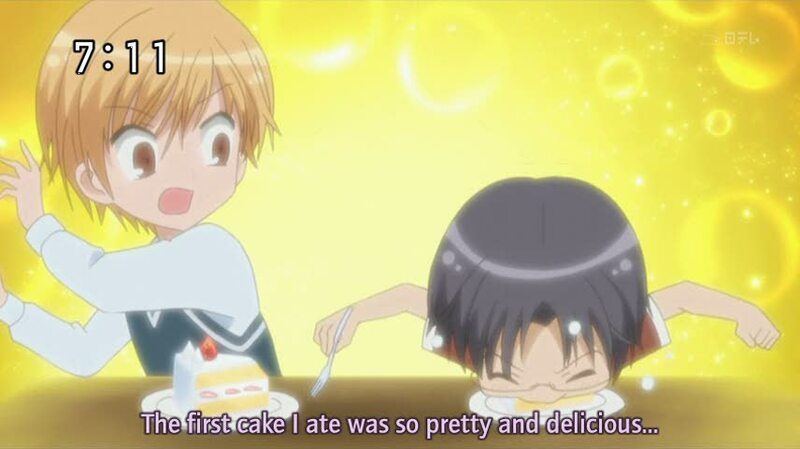 So we’re going to have episodes featuring each of the Princes of Sweets. 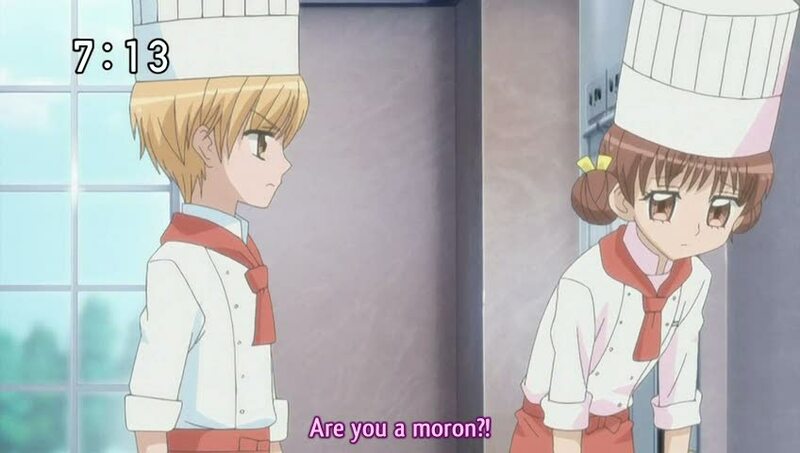 The previous episode was about Hanabusa, and this one is about Andou. Yay! ^_^ Can’t wait for Kashino’s!! There’s a special salon at St. Marie Academy (which is run by the High School student council) called Salon de Marie. Ichigo would give anything to work there, but because she’s in middle school, her chances are slim. Andou asks her to come with him to his family’s Japanese confectionery to help get her mind off things. 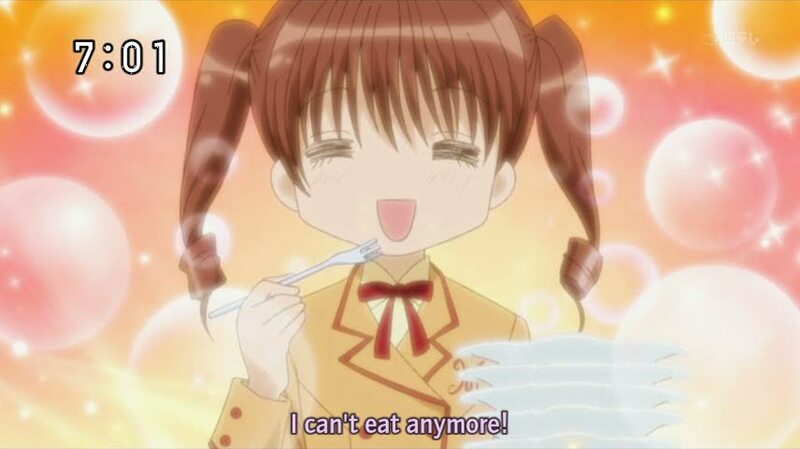 There, she finds out that the eldest out of Andou’s 4 younger siblings, Ichita, dislikes cake, so she decides to find out why. Yumeiro Patissiere 03- The Rose Sweets Prince: Stop and smell the roses! Ichigo has a hard time with the extreme course-load at St. Marie and starts to get homesick. She is cheered up by Hanabusa, one of the boys in her group. Yumeiro Patissiere 02- The Legendary Sweets Spirits? Yay! Loved the second episode as well, this is such a shoujo anime! It’s so fun to watch! Amano transfers to St. Marie Academy and is overwhelmed by the school. 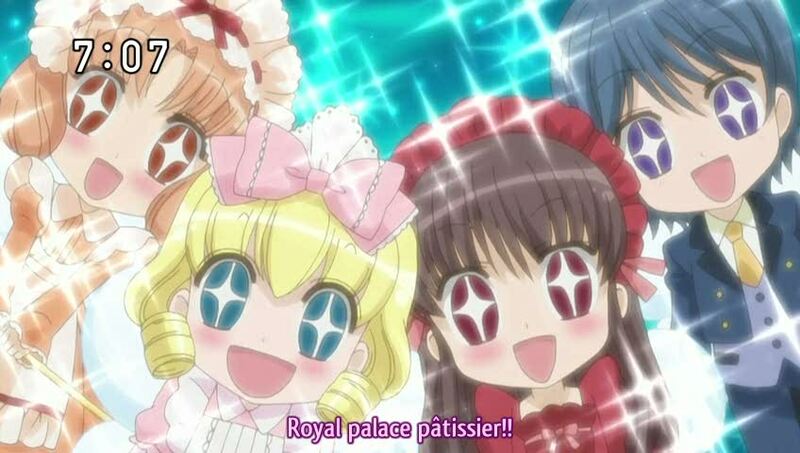 She encounters three boys (aka Sweets Princes) on the way to class, each one of them is a talented pâtissier. Ichigo is then placed in Group A with them, despite being a beginner. Yumeiro Patissiere 01- I’m going to be a Patissiere! 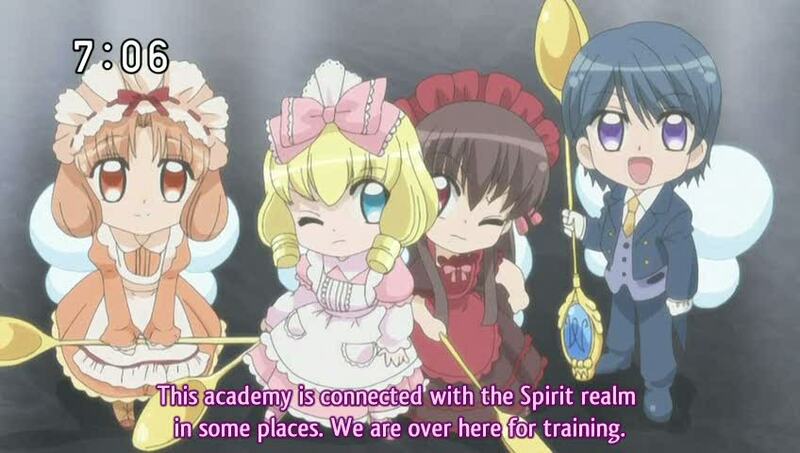 Anyway, this anime really reminds me of Shugo Chara. You know, the mini fairies? Those look A LOT like Shugo Charas.